This was a custom design I created during my time at Transit Tees. 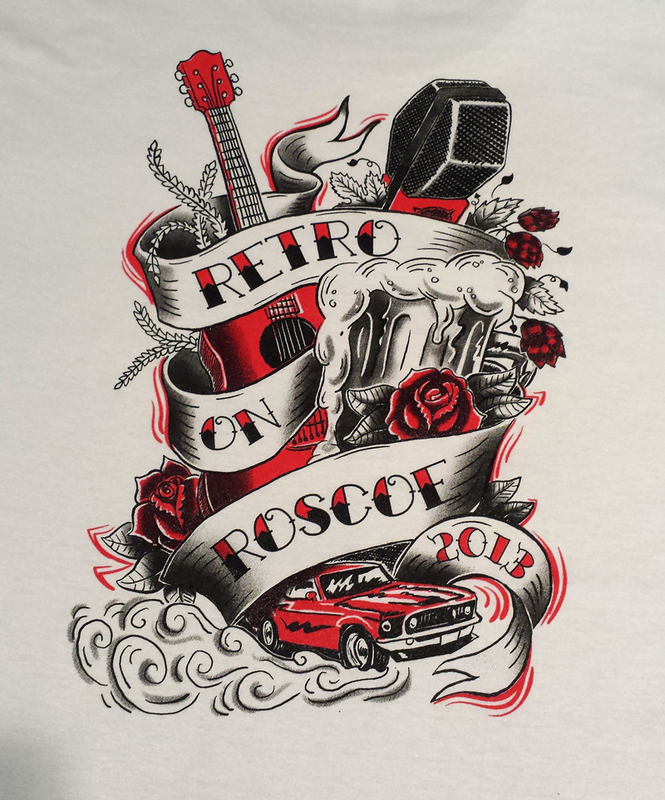 Transit Tees has created the Retro on Roscoe shirts for the past few years and I've gotten to help design two of them. The tattoo art style was an easy (and fun) decision given the fests retro theme and their classic car show. Like most projects, this started as a very rough sketch. The sketch was refined based on feedback from the client. Then, the pencil drawing is scanned and I use my nifty Wacom tablet, a little Photoshop and dab of Illustrator to create the screen print-ready art.